Covering British and European birds to be found in gardens, parks and other easily accessible areas, this guide enables even those living in towns or cities to start identifying the birds they see. Covering British and European birds to be found in gardens, parks and other easily accessible areas, this guide enables even those living in towns or cities to start identifying the birds they see. Each species is illustrated with 2-5 clear colour photographs covering all the important aspects of the species including the male, female, the young and eggs. 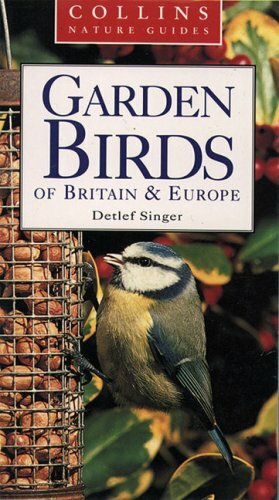 The text describes key features and each bird's feeding, song, breeding habits, distribution and occurrence. The guide devotes a whole page to the most important and accessible species. In addition, there is practical advice on how best to watch each bird.